QInnovate Educational Consulting – Annette Joseph-Gabriel, Ph.D. Welcome! Thank you for your interest in our educational counseling program. Here is some information to get you started. My name is Annette Joseph-Gabriel and I am a professor at a large, highly competitive public university in the United States. I have over seven years of experience counseling young people through the college application process at the undergraduate and graduate levels, in different kinds of higher education institutions including large public and private universities, as well as smaller, highly selective liberal arts colleges. As the founder and former coordinator for the Get-A-Sister-Into-School peer mentoring program, organized through the UN-Women partner organization Moremi Initiative for Leadership and Empowerment, I worked with applicants at the undergraduate and graduate level at all stages of the application process including school selection and providing feedback on the college essay. Our applicants gained admission to several prestigious schools and programs including Harvard University, University of Edinburgh and Sheffield University (please note that we currently do not provide counseling for application to schools outside the U.S). 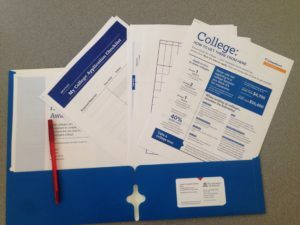 I understand that the U.S. college application process can be an overwhelming maze and I am here to simplify the process as much as possible. I truly enjoy working with students and I look forward to working with you! Our half-day workshop in Accra is designed to introduce prospective college students and parents to the U.S. college application process. It covers essentials such as selecting the right schools based on your profile, how to contact admissions officials and understanding financial aid awards. Participants receive handouts with additional information and resources. There is also a breakout session where applicants do hands-on work drafting the college essay. The next half-day workshop will be held in Accra in June 2018.